Spring has sprung! There are flowers! 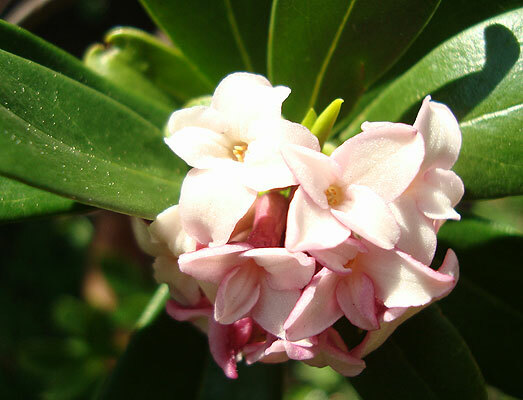 My trusty daphne bush, which has survived in a pot for many years, and keeps on going. One of my favourite scents! 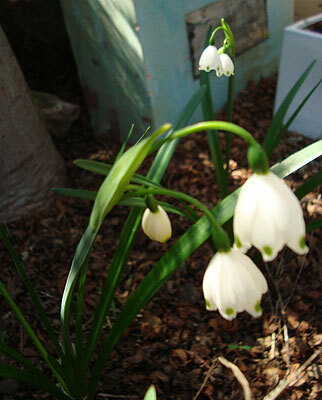 Snowdrop bulbs that I planted a few months ago! I started this in hospital. 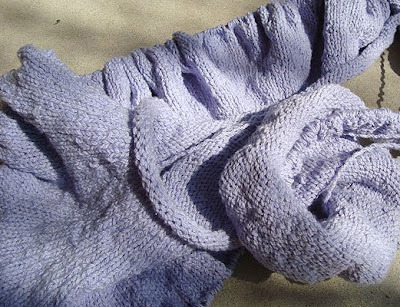 It's the Saorise Shawl / Skirt by Norah Gaughan (Interweave Knits, Spring 2009). Each row is now over 900 stitches, and takes around half an hour! And the increases will continue until we're up over 2,000 stitches per row! Using Bendigo Harmony (wool / cotton / lycra) in Wisteria. It's lovely! The eucalyptus is the most exotic to me. We are just heading into fall and starting to get cooler nights again. haha. Every time I'm engaging in some skin-care process, I'll think of your eucalyptus and smile. That eucy is stunning - beautifully captured! 2000 stitches? You are either mad or extremely dedicated!!! Harmony is lovely to knit with. Love your Daphne, mine died last year after 19 years in the garden, I have a new small lemon flavoured one. Not as good I think. Daphne and snowdrops? Ah, perfume! Do flowering ecalyptus smell nice too? They sure look gorgeous. Soooo fluffy and girly. I've taught blind people to knit, so impaired vision won't slow you down too much. And oh that Harmony looks like a luscious skirt. Two thousand stitches per round? That's Herculean! Hooray for walks in the sunshine and for savoring the sweetness available to you. Nothing like a good scare to re-awaken one to life's pleasures, is there? 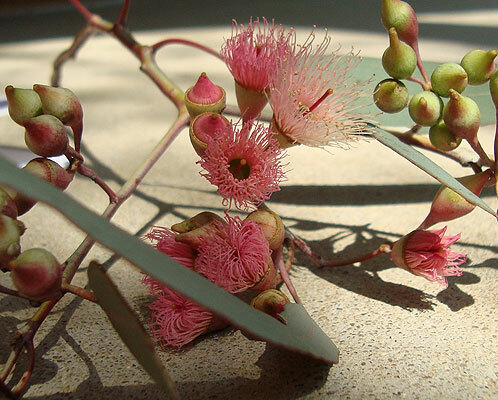 I never thought of eucalyptus trees as having flowers. I can't stand the smell, it literally takes my breath away. I'm glad you found some knitting to keep you occupied. Pretty color you're using there. Beautiful photograph of the eucalyptus, I love it! Mystery girl is home again!